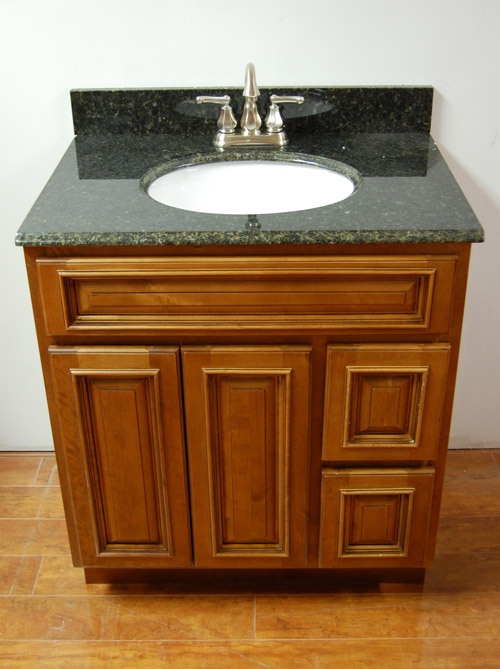 The Rustic Brown vanity collection offers a warm toffee color. This line features dovetailed drawers and full extension soft close drawer slides, which provide a nice smooth close. The doors come standard with 6-way adjustable, soft closing door hinges, to prevent slamming doors.